The Department is supported by a centralized group of individuals that help us run efficient, effective and high-quality research projects. Dee Mangin, our Associate Chair, Research provides leadership and guidance to the research activities across the Department of Family Medicine. Our Research Operations Team provides key organization, administration and communication services to our faculty and research staff. Builds capacity across projects through knowledge sharing and communication. Supports projects with their human resources, financial management, communications and administration. Develops and implements processes to help projects start, grow and wrap-up easily. As Associate Chair, Research, Dr. Dee Mangin brings to the Department a great deal of experience and guidance in running successful and impactful primary care research projects. Dr. Mangin has deep clinical research experience with innovative research methodologies and clinical and community-based randomized control trials (RCTs). She is a member of the Section of Researchers’ Council at the College of Family Physicians of Canada (CFPC) and a member of the Integrated Patient Safety Action Plan Medication Safety Leads Group, Patients for Patient Safety Canada. Before joining McMaster University, Dr. Mangin was the Director of the Primary Care Unit at the University of Otago in Christchurch, New Zealand and the Clinical Leader for Research Audit and Evaluation at the Pegasus Health Primary Healthcare Organisation. 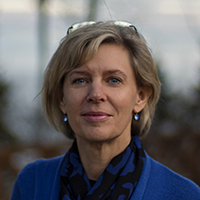 As the Managing Director, Research Enterprise, Pam Forsyth provides strategic oversight, financial management and operational planning to the Department’s research initiatives. Pam’s expertise is in planning and evaluating strategic health initiatives, facilitating systems change and managing teams to maximize their potential. She has held senior management positions in health promotion, health communications and knowledge translation. 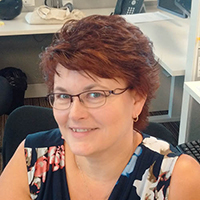 Before joining McMaster DFM, Pam was the Managing Director of the National Collaborating Centre for Methods and Tools, a federally funded organization with a mandate for building capacity for Knowledge Translation in Public Health across Canada. Prior to that, Pam Managed the Community Relations Division with Halton Region and the Health Promotion and Communications program with the Halton Region Health Department. 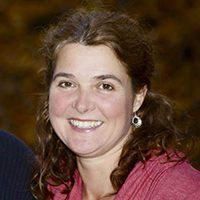 Pam is a Registered Dietitian and holds a Master’s degree in Health Promotion from the University of Toronto. Laura Cleghorn is the Research Operations Coordinator at the Department of Family Medicine. In this role, Laura helps to plan and implement operational policies and procedures, and to manage efficient and effective research projects at the Department. Laura has over 15 years of experience coordinating the implementation and evaluation of programs and services in a variety of healthcare settings. 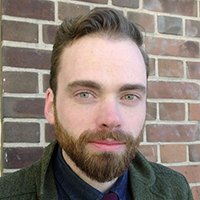 The Department’s Knowledge Translation Specialist is Casey Irvin. He helps guide our internal and external knowledge translation work and assists research projects with planning, creating and implementing their individual communications activities. Prior to joining the Research Operations Team, Casey has run communications and design work for adult literacy, continuing medical education, and health research programs. Casey holds a master’s degree in Communication and Culture. 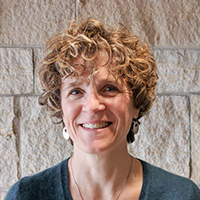 In her role as Research Administrative Coordinator, Sharon Garden supports the human resources, financial reporting, and daily operations of individual projects as well as Research Enterprise as a whole. 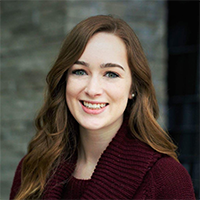 The Department’s Site Facilitator is Jessica Langevin. In this role, Jessica provides research support and assistance to physicians and allied health staff who are conducting research. This support includes assisting with research ethics applications, ensuring that research projects receive appropriate departmental approval, and helping projects adhere to policies and procedures. In addition to this role, Jessica also works as a Research Assistant on the TAPER project. Jessica holds a master’s degree in Public Health from McMaster University.